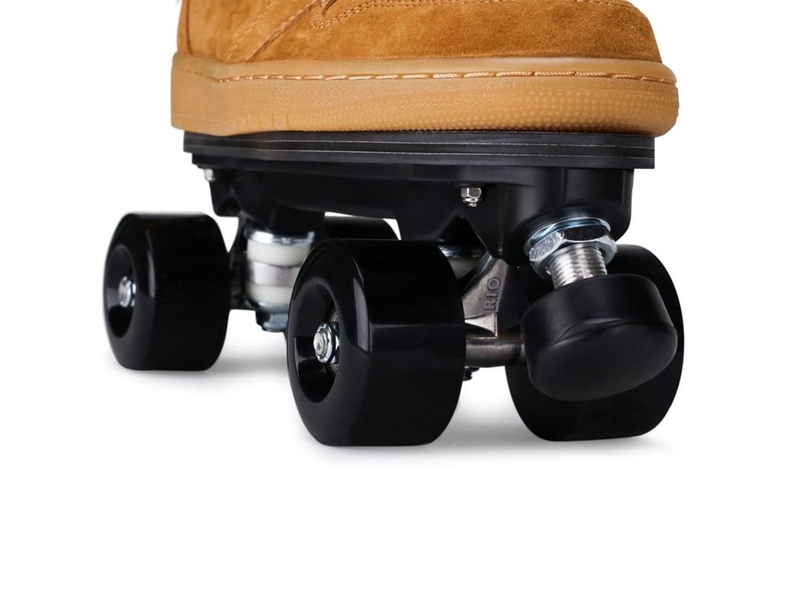 Whether skating in Flaneurz or with other quad roller skates, roller skate equipment quality is one of your main expectations. To feet well with all skating practices, Flaneurz selects and offers an accessories range to optimize your rolling parts. 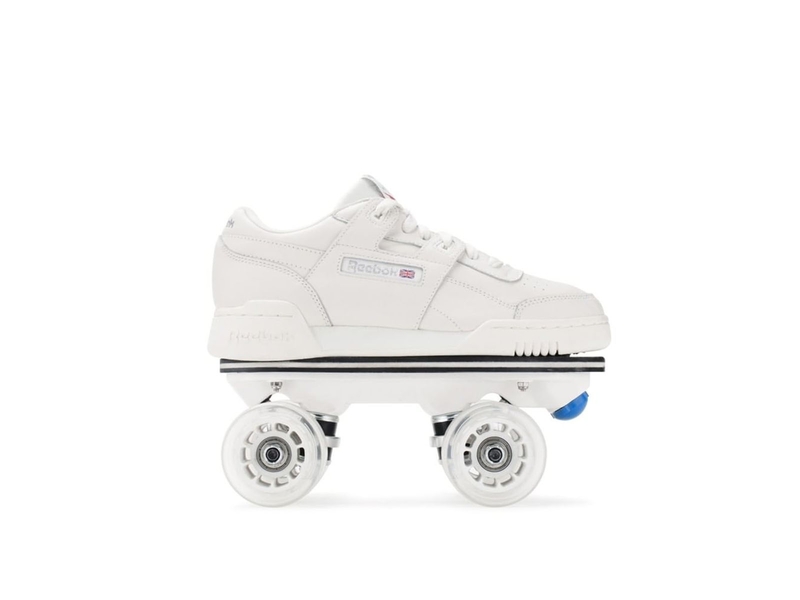 This is a basic roller skate equipment. Its hardness is average (80A), which makes its use pleasant both outdoors and indoors. This is the widest wheel (34mm) we have selected, to increase stability. She equips our First range, thought for beginners wishing to discover the skating sensations safely. Thought for outdoor sessions, it is soft (hardness 78A), which allows it to slightly deform if it encounters an irregularity. Its surface is smooth and adherent, which makes it very pleasant both on uneven grounds (Cobblestones, damaged sidewalks…) that during your indoors sessions. Dimensions are classic: diameter 62 mm x width 33 mm. It equips our Iconic range and is available on our website in red, pink, mauve, blue, green, white, black and transparent. 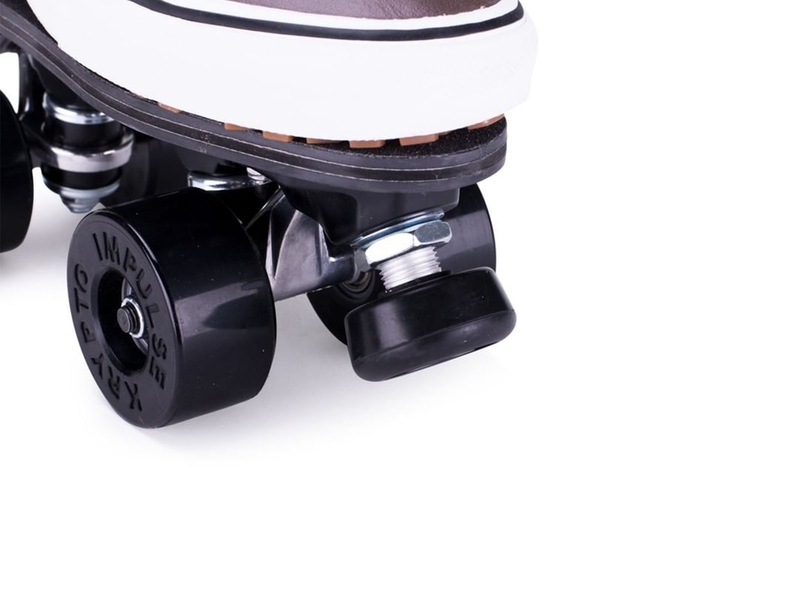 Designed to meet with seasoned skaters demands, its star-shaped nylon core (which gives to wheels its color) and the thin urethane layer around makes it responsive and precise. Its hardness is higher (83A) than most outdoor wheels. It is particularly known for resisting to abrasion and having a strong grip. This wheel equip our Premium range. It is available exclusively in white and black (exclusive wheels marked with Flaneurz logo) on our e-shop. You will also find it in neon yellow. Highly noticed at our Glitter capsule release, we propose to illuminate the eyes of those you come across. Developed by FR Skates brand, this reference has a 85A hardness. Luminous white pearl wheel features in its heart a miniaturized dynamo system that illuminates it in motion. Dynamo works by friction, allowing a brightness with same intensity over the months. 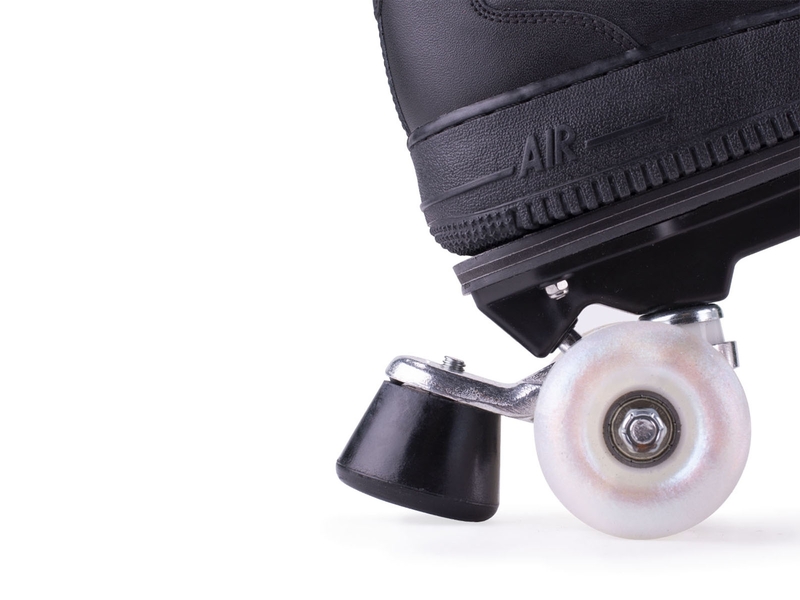 Unlike inline skates, which is often equipped with a rear brake, quad skates have a toe stops. This roller skate equipment is a safety guarantee for your first steps. Two threads kinds exist: ISO and US (imperial). It equips our Iconic range. It is also compatible with First range. It is a Sure Grip classic toe stop, renowned for its quality and fineness. It is available in white or black. 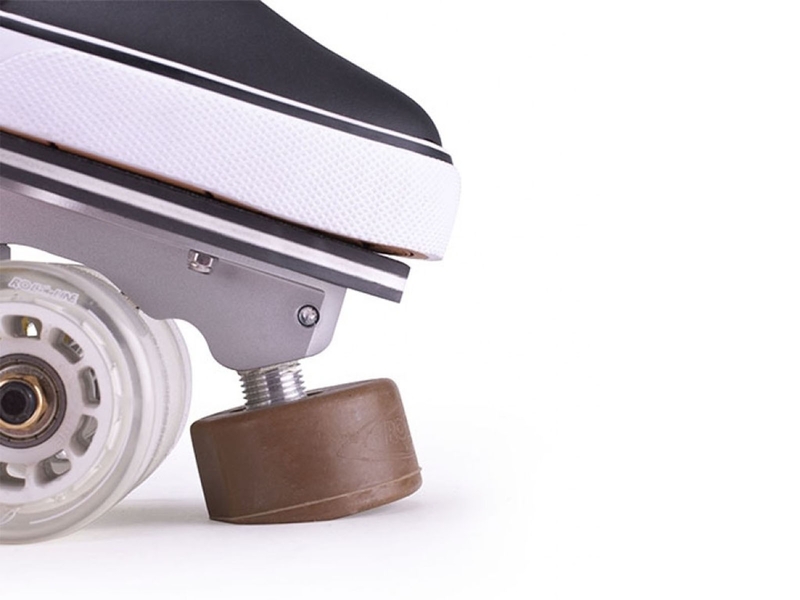 This toe stop equips all Premium range detachable roller skates. It’s soft and rounded, which ensures excellent contact with all floors types. Its durability is very appreciated. To vary pleasures and match with all your Flaneurz Custom, we have selected seven colors: gray, cappuccino, white, blue, pink, red and brown. This toe stop is designed to withstand sudden stops that occur during rink hockey. This hockey variant, practiced in roller skates, requires very resistant to abrasion stoppers. To meet your needs for durable and reliable roller equipment, we have selected this brake in two sizes. Roller skate equipment cares about your safety. Many of you start skating in quad skates with Flaneurz skates. Brake installation in the back is then useful to better apprehend braking phases, to control your speed. Available in navy blue, blue, green, yellow, red, orange, pink, white and black. Some skaters are hampered by front brake presence. 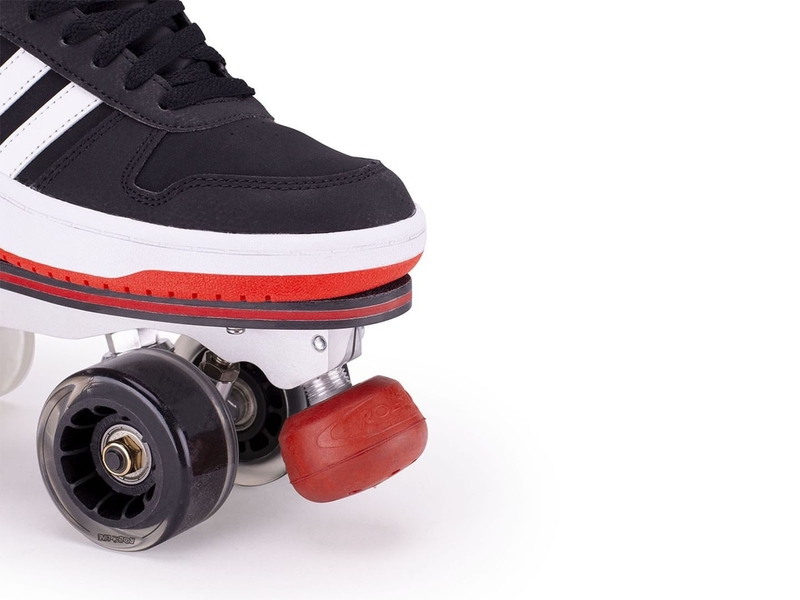 When taking speed, practicing roller dance or slalom, this initial roller equipment can actually become disabling. You can then remove these but your plate will be more subject to shocks that may deteriorate. To remedy this, jam plug is installed in brake place. 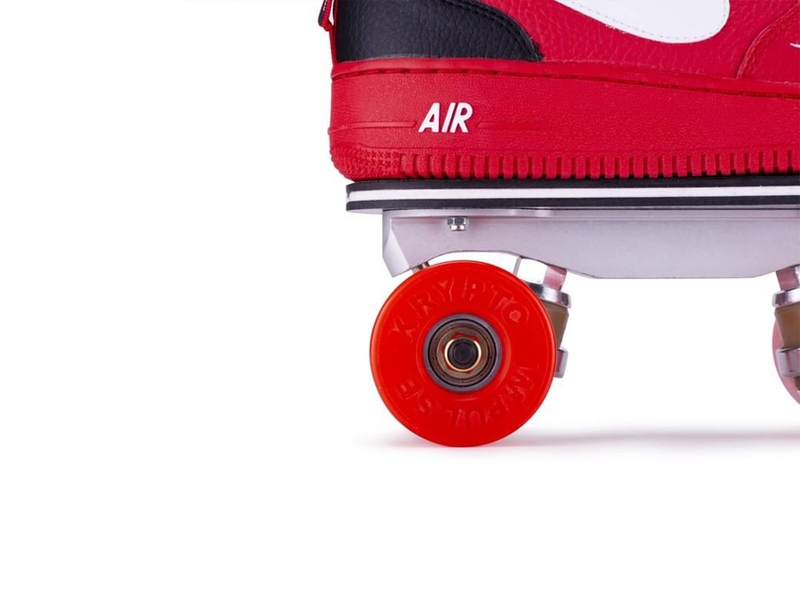 To sublimate your Flaneurz experience, we have imagined some roller skate equipment allowing you greater freedom. 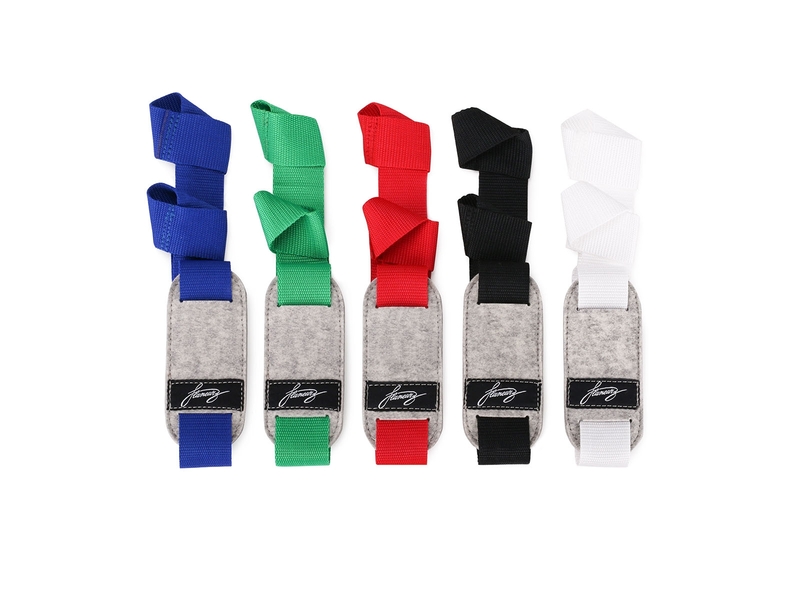 We designed this leash, handmade in France by our ESAT(workshops, french nonprofit and social organizations designed to help people with disabilities get back into work) partner, to transport your rolling part easily. Flaneurz labeled shoulder pad allows great comfort during transportation. This accessory is available in red, blue, green, black and white. 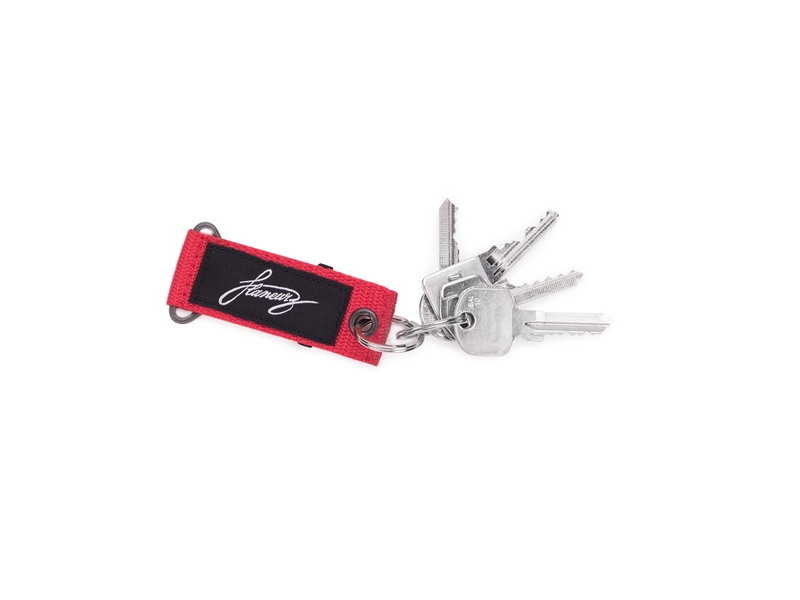 To switch from skating to walking in few seconds, a clip out key is required. This one must be inserted at your rolling part back to release the system hooks. Also handmade in Val-de-Marne (France), this accessory is available in red, blue, green, black and white. First unlock key comes with your Ready-to-Roll pack. 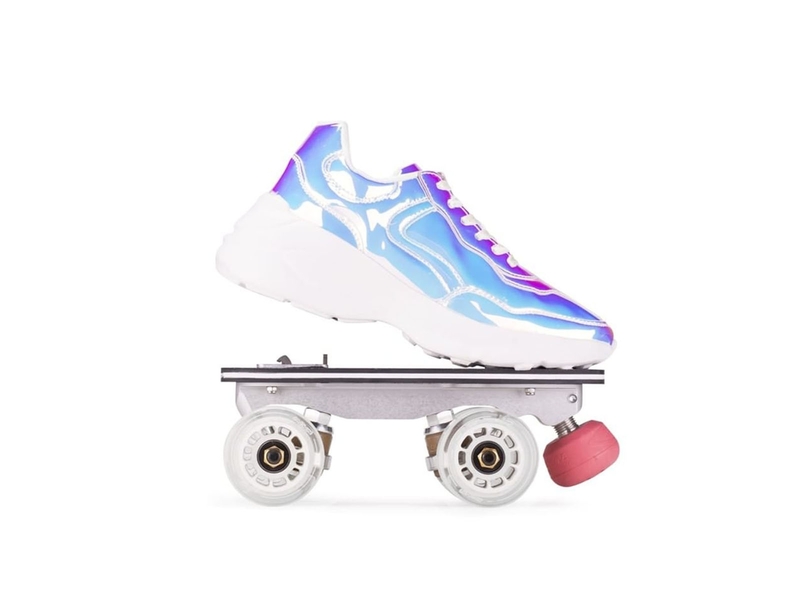 Whether roller skating is a discovery or your favorite sport for years, you want your roller skates to match you. 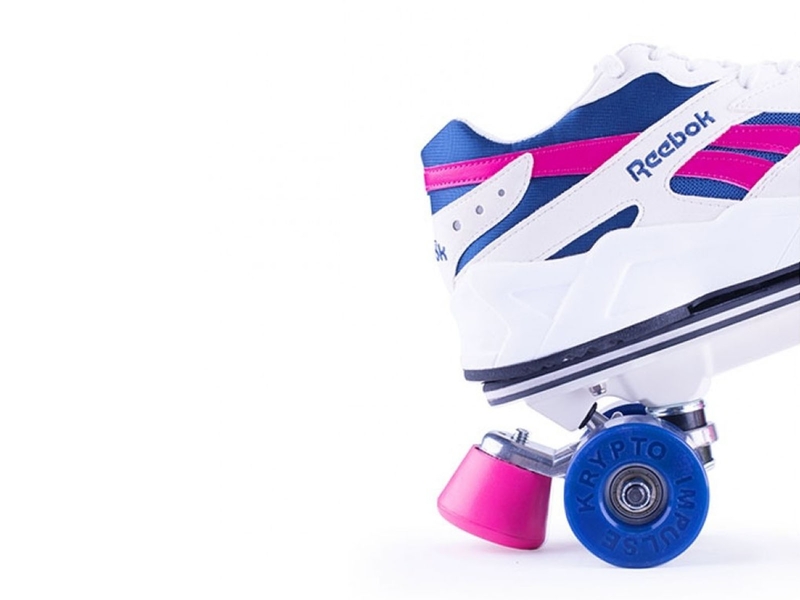 What is your favorite roller skate equipment? Comment space is open. Clique will meet you on April, 11 at Point Ephémère (Paris) for new electric roller party. In the meantime, come celebrate spring arrival on wheels and (re)discover Flaneurz world on Instagram, Facebook and in our newsletter.